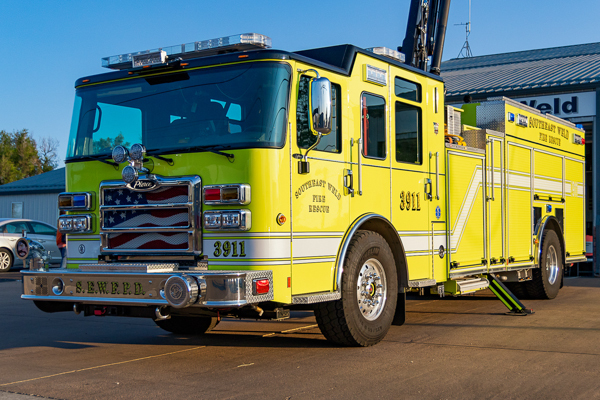 Fire Station 1 is located at 65 E. Gandy Ave.
2013 Pierce Saber SLT PUC (27167) 1000 gallon water tank / 1500 gpm pump with 20 gallons of foam (Husky). 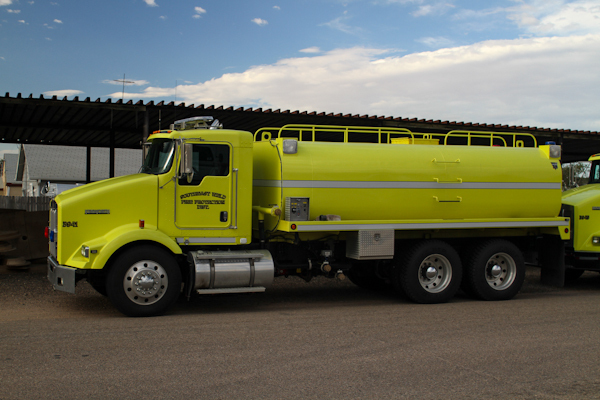 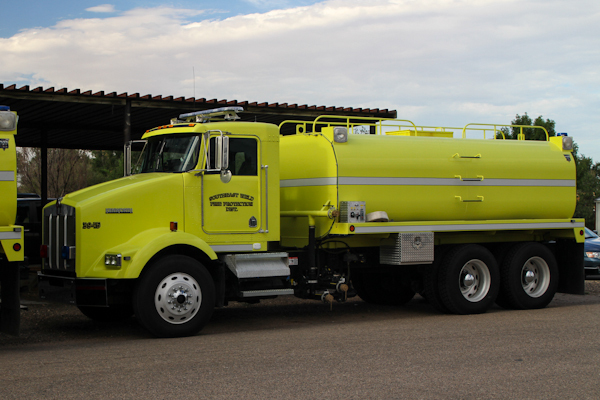 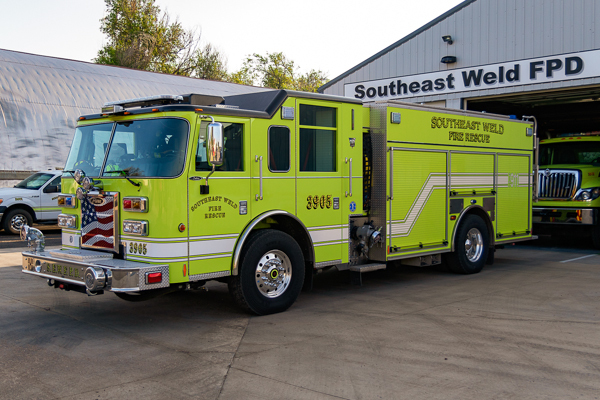 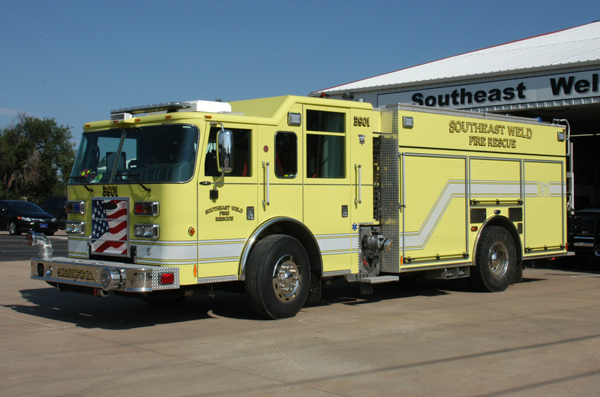 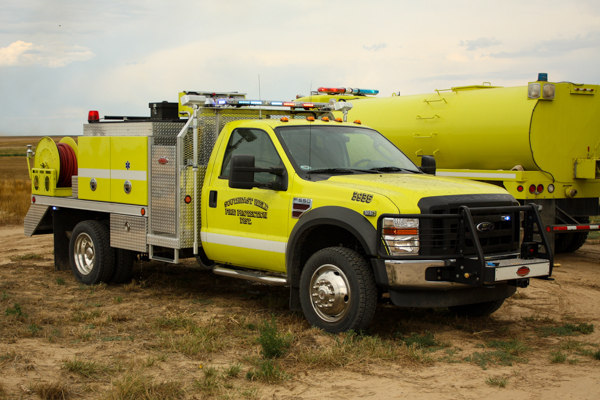 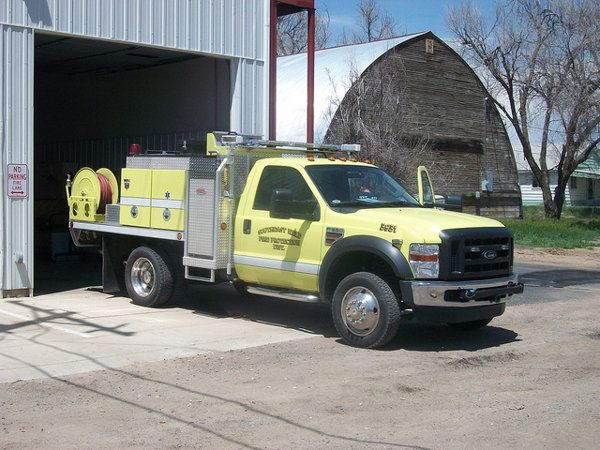 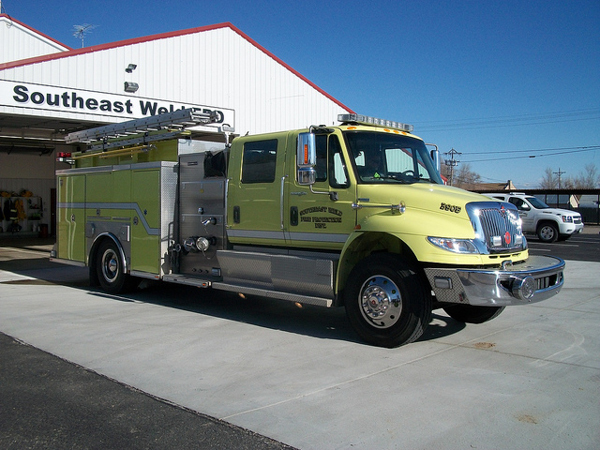 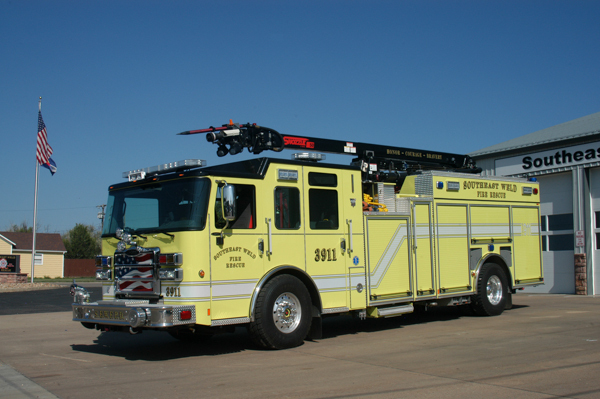 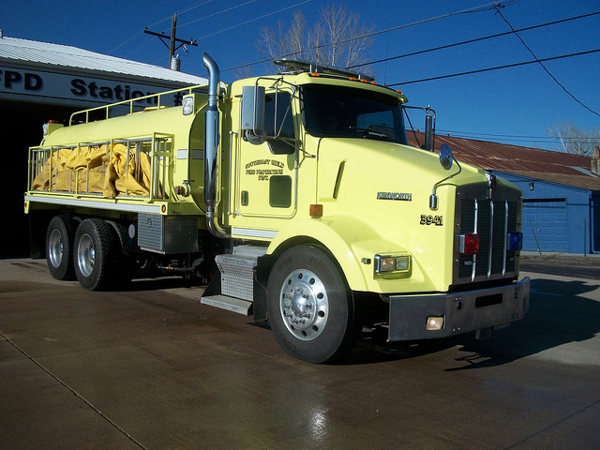 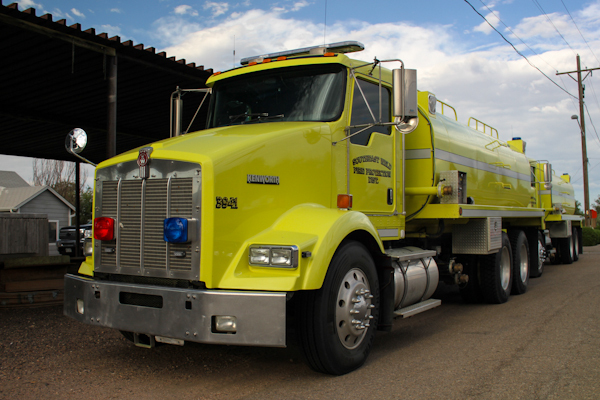 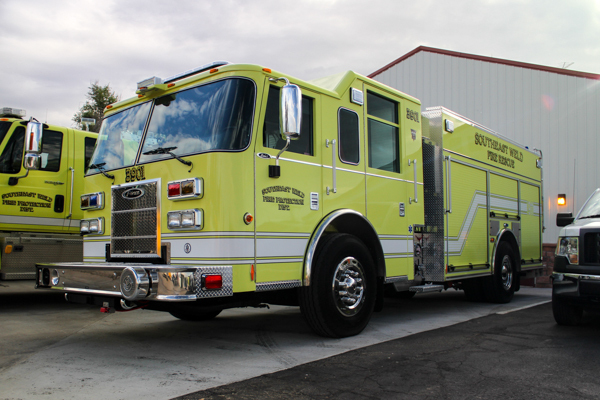 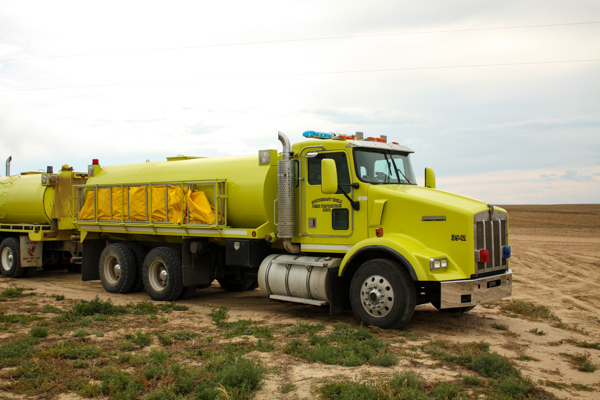 2012 Pierce Saber (25723) 1000 gallon tank / 1500 gpm pump with 20 gallons of foam. 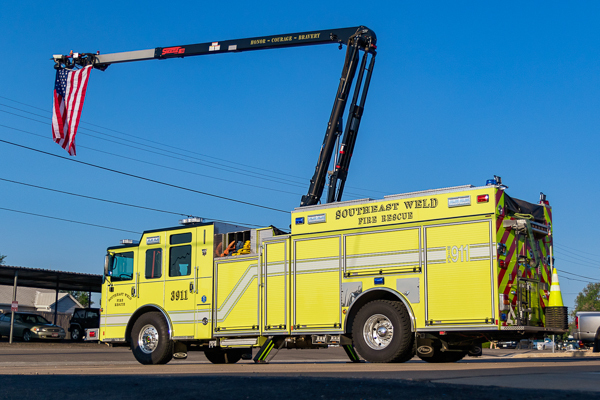 2017 Pierce Enforcer (31293) 50′ Snozzle extendable turret 1000 gallon water tank / 1500 gpm pump (Waterous) with 20 gallons of foam (Husky). 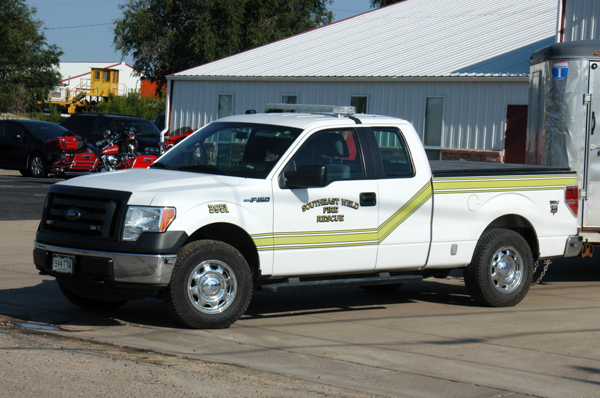 2014 Dodge Ram. 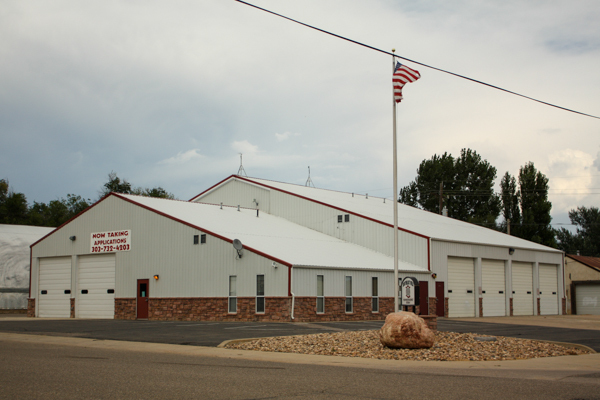 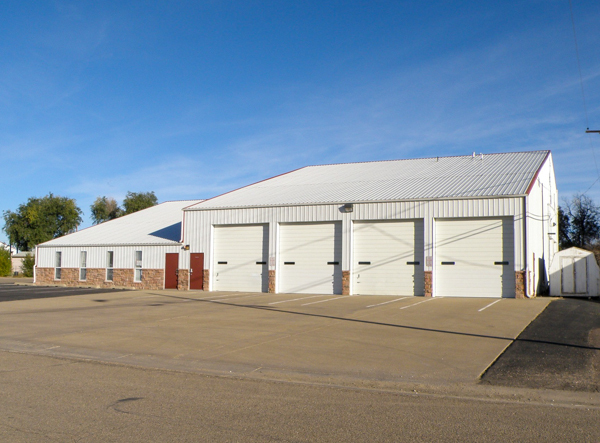 Medical service is provided by Platte Valley Ambulance Service. 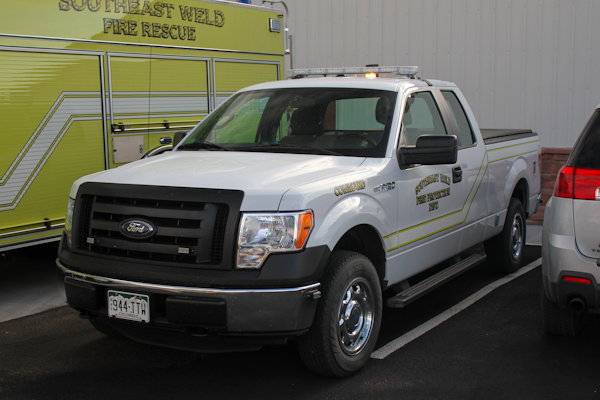 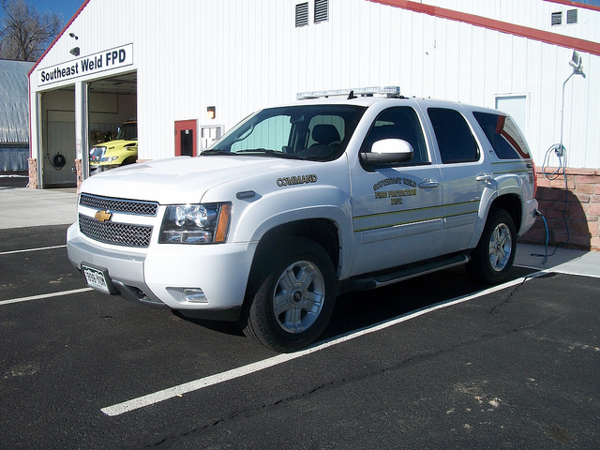 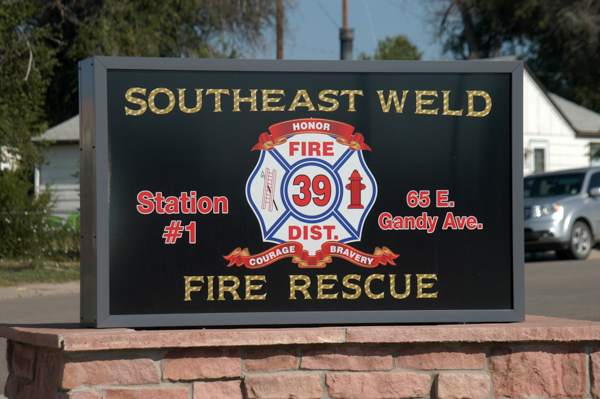 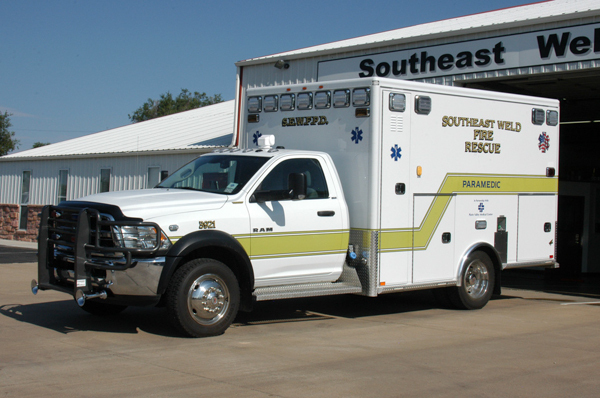 SEWFPD began a Partnership for Advanced Life Support Ambulance Service on January 1, 2014 with PVAS. 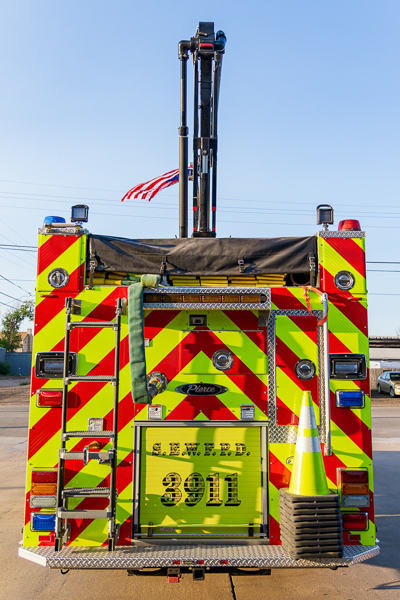 (Keenesburg Fire Department) Fire Station located at 65 E. Gandy Ave.
2012 Pierce Saber 1000 gallon tank / 1500 gpm pump, also ran as Engine 3905. 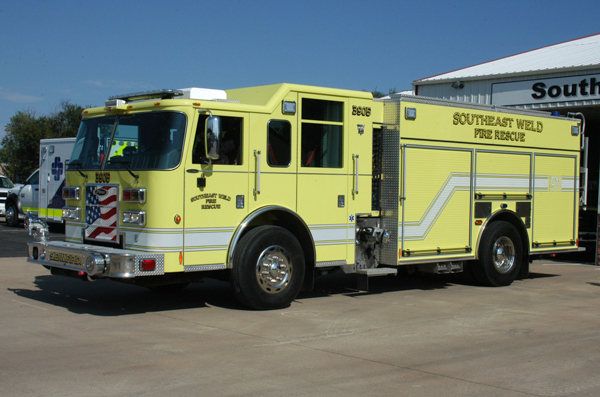 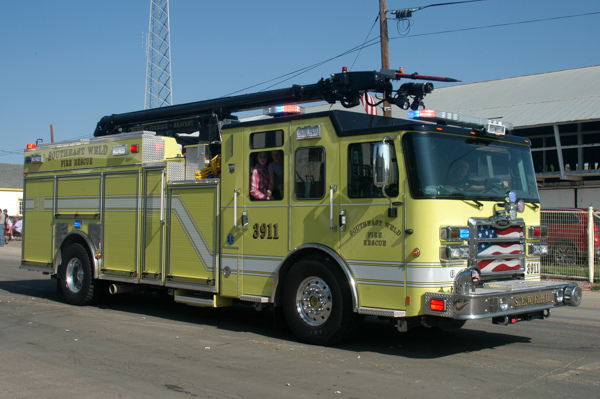 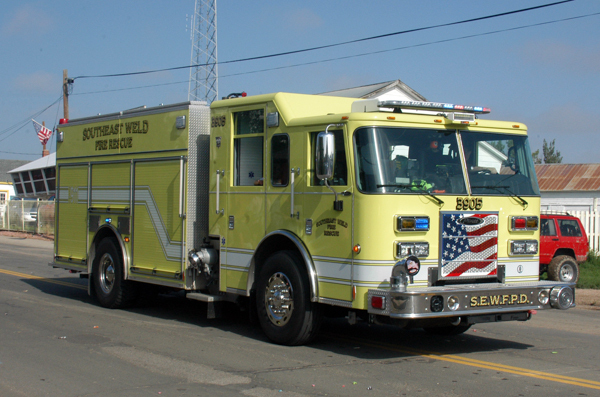 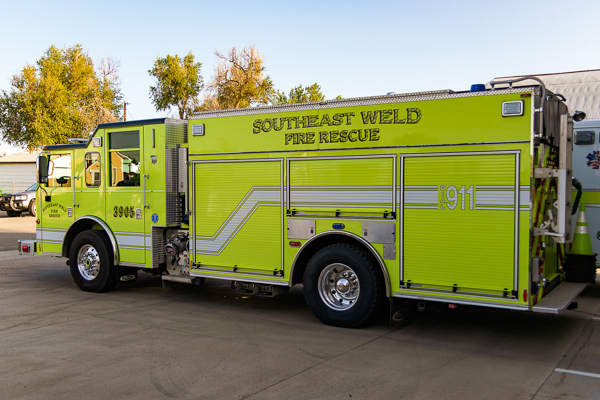 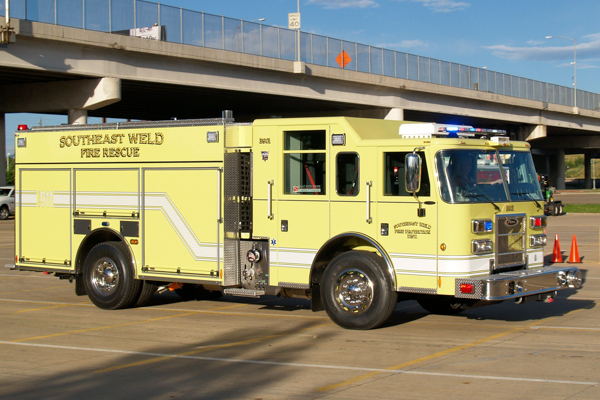 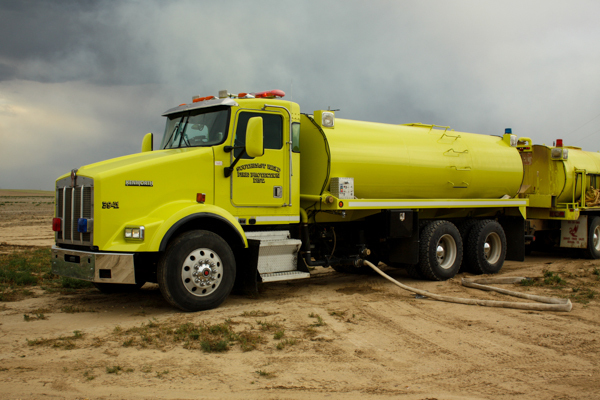 2012 Pierce Saber (25723) 1000 gallon tank / 1500 gpm pump with 20 gallons of foam, also ran as Engine 3901. 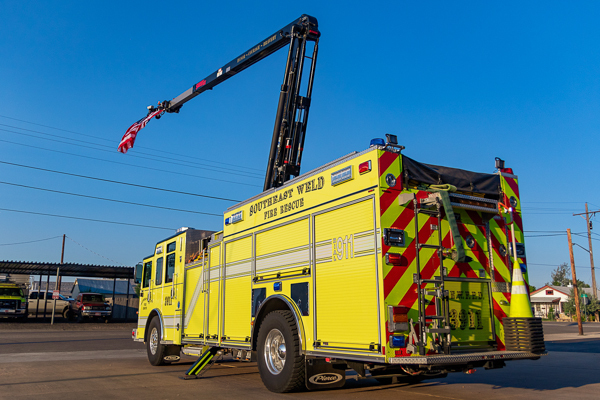 This Engine was hit by a semi on I-76 December 27th 2017, all firefighters were ok.
2008 Ford F-550 4×4, currently Blackwell Fire Department in Oklahoma.